Business Name: Grand Valley Roofing & Coatings Inc.
Short Business Description: Your Cambridge Roofers: Grand Valley Roofing and Coatings Inc.
A properly installed roof will help your property weather storms. Ensure your roof is ready for whatever Mother Nature can throw at it. Whether it’s a new roof, repairs or maintenance services, our Cambridge roofers at Grand Valley Roofing & Coatings Inc. can meet your needs. Our roofing services are available for residential roofs business owners who are situated in the Southern Ontario area with services available in London, Kitchener, Waterloo, Cambridge, Brantford, Woodstock, Oakville, Burlington, Guelph and Toronto areas. Give us a call today for more information on how our roofers in Cambridge can assist in your roofing needs! Grand Valley Roofing & Coatings Inc. was established in 1999 under the name of Triple D Roofing, which had started out as a residential slope and small flat roofing installer. The company soon started to build a solid reputation in the local market and began to expand into the commercial, institutional and light industrial markets. In 2005, the company decided to change to the present name of Grand Valley Roofing & Coatings Inc. 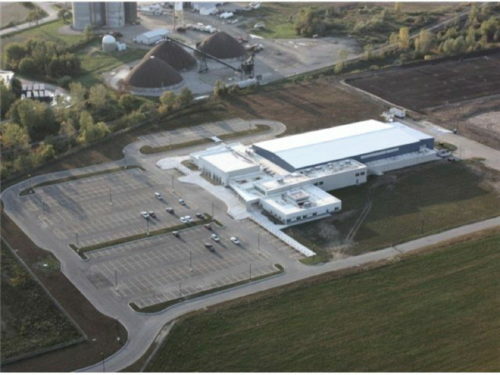 Strategically located in Cambridge, ON, we have established a strong, industry trained and steady core of professionals to promptly service an approximate radius of 200 kilometers from our base. Our staff is certified in the methods of application of all major roofing systems by various roof product manufacturers and we are able to provide the best warranties available in the industry today. We are committed to providing a safe work environment for, not only ourselves, but all the parameters we work within. We are also WSIB-certified, bonded and carry $5 million dollar liability insurance. Website Address: Grand Valley Roofing & Coatings Inc. Listing Title: Grand Valley Roofing & Coatings Inc.